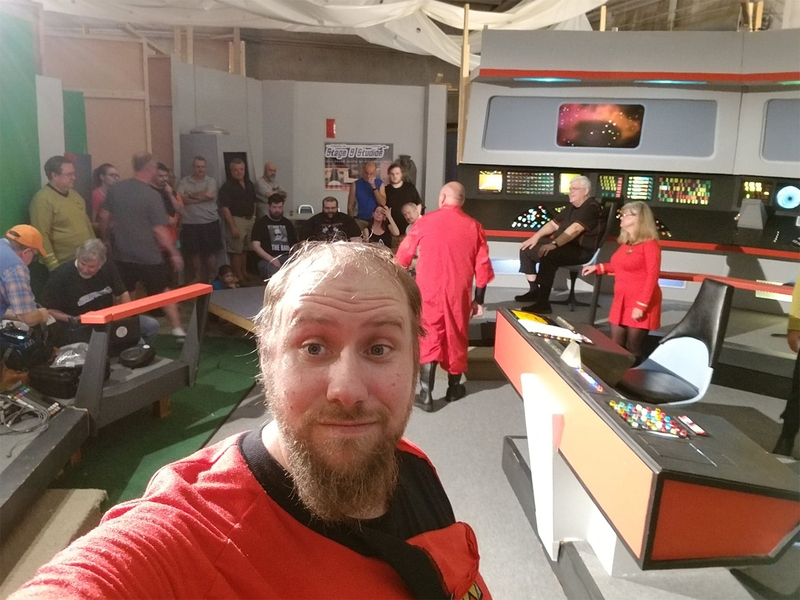 Over this past weekend, two fan films that were scheduled to shoot on the TOS sets at NEUTRAL ZONE STUDIOS in Kingsland, GA (formerly used by Star Trek Continues and Starship Farragut), made major announcements based on some unexpected new pricing policies implemented by the studio at the last minute. It wasn’t pretty. 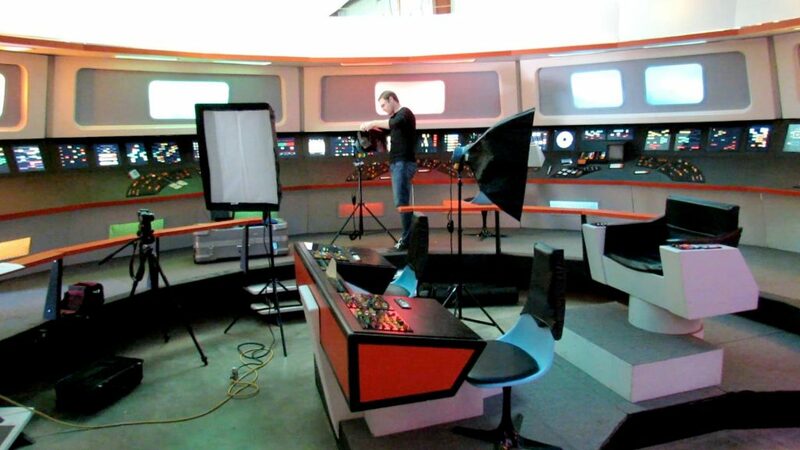 Previously, Neutral Zone Studios, purchased last year by RAY TESI, had followed the lead of the now-defunct Starbase Studios in Oklahoma and (later) Arkansas of charging fans only for the cost of electricity and utilities but otherwise allowing the use the sets for free for any fan production to film on. Of course, nothing is really “free,” and the costs for rent and upkeep had to be paid by someone…and in this case, it’s been Ray Tesi. Just this past month alone, Ray had to write $6,000 in checks for rent, utilities and his annual insurance on the facility and sets. In a typical year, Ray’s out-of-pocket costs—just to keep the sets from winding up in the dumpster—is about $42,000! To try to help with expenses, Ray launched a Patreon campaign almost a year ago seeking small monthly donations from fans. While it’s doing modestly well—currently taking in about $800 a month from 64 backers—that still leaves Ray with nearly $33,000 in annual expenses. For a guy who is paying for this venture out of his retirement fund , this is a significant commitment. And frankly, I personally think more fans need to step forward and help Ray cover his costs…because if Ray runs out of money, these sets really will wind up in a dumpster. NEUTRAL ZONE STUDIOS once again opens their TOS sets to the public for FAN APPRECIATION WEEKEND 2! When I was a kid growing up in the 1970s, watching Star Trek each weeknight at 6:00pm, I used to dream of one day building my own Enterprise bridge. I’d have it on the second floor of my house, in a circular area, with a turbolift elevator that would go up to it, doors whooshing open to shock and impress my friends. Sadly (at least for me, not sad for my wife), that didn’t happen. But miraculously, I can still walk onto the bridge of the USS Enterprise NCC-1701. I can sit in the captain’s chair, stand in the transporter, walk through the corridors, visit sickbay and engineering, wander into the briefing room and Captain Kirk’s quarters. And I can even do it in two different locations! The first place I can go is the officially licensed Star Trek Original Series Set Tour in Ticonderoga, NY. For $22.50/person (less for seniors, military, and kids), I can walk around meticulous, museum-quality recreations of the original 1960s sets that were used to film Star Trek. The sets in upstate New York were used to make the fan series Star Trek: New Voyages/Phase 2, and now are available throughout the year for personal and group tours. Further south in Kingsland, GA are the sets that were originally used for the fan series Starship Farragut and Star Trek Continues. A little over a year ago, those sets were sold by VIC MIGNOGNA to RAY TESI, who has opened them up for free filming (just pay the electricity costs) to any fan production that follows the CBS guidelines. 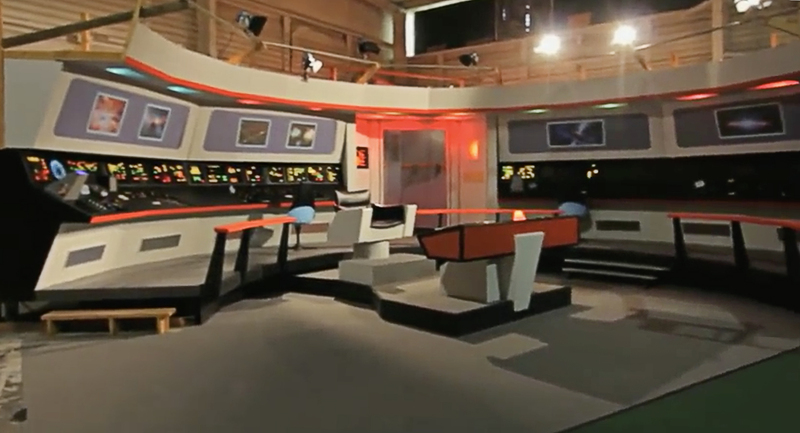 Originally called Stage 9 Studios, the sets were recently renamed NEUTRAL ZONE STUDIOS to avoid confusion with the Virtual 3D walkthrough of the Enterprise-D that was shut down by CBS. Last October, Ray Tesi opened his Georgia sets to the general public for a FAN APPRECIATION WEEKEND. It featured tours, photo opportunities, some fan film celebrity guests, and even two different fan productions shooting scenes in front of a live, studio audience. Author Jonathan LanePosted on March 25, 2019 March 25, 2019 Categories Crowd-Funding Blogs, Editorials, Fan Film FeaturesTags Neutral Zone Studios, Ray Tesi, Stage 9 Studios, Star Trek Set Tour, Vic Mignogna2 Comments on NEUTRAL ZONE STUDIOS once again opens their TOS sets to the public for FAN APPRECIATION WEEKEND 2! DREADNOUGHT DOMINION didn’t set out to be a tongue-in-cheek Trek fan film parody…and it doesn’t plan to be one for much longer. But for the last ten months, GARY DAVIS and RANDY WREN have taken this passion-driven fan production in some very quirky directions. Back in 2015 when the first two episodes (“Haunted” and “Anchors Aweigh“) were released, Dreadnought Dominion was actually pretty serious. Those two episodes set up the backstory of the main characters as the USS Dominion prepared to launch. But then the show-runner and lead actor, Frank Parker, Jr. (playing Commodore Samuel Grissom) left the series, leaving Gary and Randy to pick up the pieces and move on. In late 2016, Dreadnought Dominion did a cross-over fan film with Starship Valiant called “Chain of Command.” With Dominion still waiting to launch Gary’s character of Captain Jason Brousseau takes command and makes Randy’s Commander Stephen Denson his XO. The following summer, a Mirror Universe version of the same episode, this one titled “Command and Conquer,” showed the same scenes taking place in the Terran Empire. It was a fun little project, and both fan films featured MICHAEL L. KING from Starship Valiant and VANCE MAJOR playing his fan favorite character of Erick Minard. And Dominion still hadn’t left drydock! 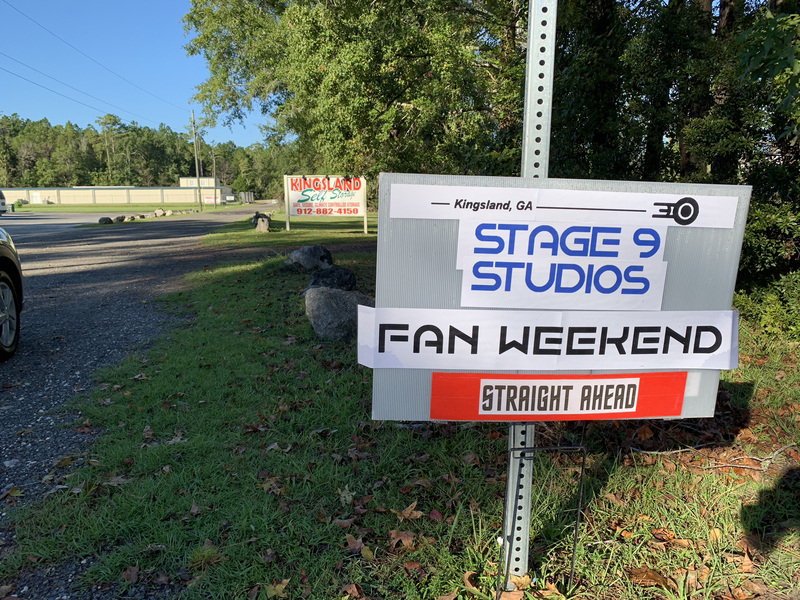 This past summer, Gary and Randy became the first fan filmmakers to shoot a project at Stage 9 Studios (now renamed THE NEUTRAL ZONE), site of the former Star Trek Continues sets in Kingsland, GA and now available to all fans to use. (Support the Patreon for The Neutral Zone by clicking here.) They released two back-to-back vignettes, “Reality Check” (which purposefully broke the fourth wall) and “Silent Acknowledgement” (featuring the first deaf character and actress in a fan series). You can read a great two-part interview with Gary and Randy here. And yet, after six complete fan films, Dominion was still in drydock! 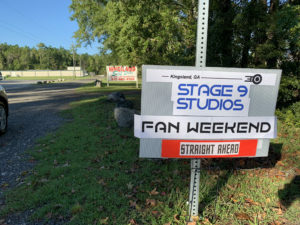 Acknowledging the ridiculousness of the situation, Gary and Randy created one final script to get them on their way: “Technical Difficulties.” They scheduled filming for the same weekend that owner RAY TESI opened up his TOS sets in Kingsland free to visitors for a Fan Appreciation Weekend. It was a huge success, but it also afforded the Dominion folks to go somewhere only one Trek fan project (“Walking Bear, Running Wolf”) had ever gone before: they filmed before a live studio audience! STAGE 9 STUDIOS is now THE NEUTRAL ZONE…and its PATREON has hit WARP SPEED! After STAR TREK CONTINUES completed its run of eleven amazing fan films shot on an awesome array of TOS sets, those sets sat unused in an industrial space in Kingsland, GA for many months. The sets were subsequently purchased by avid Trekker (and really nice guy!) RAY TESI, who renamed the facility STAGE 9 STUDIOS. Ray also took over paying the rent, utilities, and maintenance. Ray opened up the sets to fans to come see and film on. Already, numerous fan projects have been shot there, including multiple episodes of Dreadnought Dominion, the upcoming Constar Chronicles, the wildly popular Ghost Ship which premiered last Halloween, and even a few others. The sets are being offered FREE to fan filmmakers as long as they pay for the electricity used during filming. It’s a great deal! Unfortunately for Ray, though, what’s “free” for fans is still costing him money each month, which is coming out of his retirement savings. Granted, Ray is happy to spend his own money to keep the dream alive, but he is also asking for help from fans out there like you and me. Last June, Ray launched a Patreon campaign to raise donations—given monthly by supporters in increments as low as $1/month or as high as $100/month (the average is about $15/month per donor). After an initial spike, the next six months of the Patreon were fairly flat in the range of about $150/month (approximately 5% of the monthly rent). Last week, however, everything changed! First of all, Stage 9 Studios was renamed THE NEUTRAL ZONE (for reasons that will be explained below). At the same time, Ray used the name change to start promoting the campaign much more robustly. The result, as you can see below, has produced eye-popping results in just 7 days! The number of patrons has nearly doubled while the amount donated per month has nearly tripled to almost $500…! Author Jonathan LanePosted on February 20, 2019 February 20, 2019 Categories Fan Film Features, NewsTags Ray Tesi, Stage 9 Studios, Star Trek Continues, The Neutral Zone5 Comments on STAGE 9 STUDIOS is now THE NEUTRAL ZONE…and its PATREON has hit WARP SPEED! NEW TRAILER from the AVALON UNIVERSE! One of the things that got fans’ attention was the Kelvin-verse Starfleet uniforms juxtaposed with TOS sets and warp nacelles for a Constitution-class starship that glowed blue. What universe was this??? The second fan film taking place in our "Avalon Universe" has begun filming. We'll meet new characters, and see interesting new design elements including visfx, LCARS readouts, uniforms and even unique divergent Starship and shuttle designs, and a new starbase dry dock design all from the amazingly talented Samuel Cockings and his crew of CG artists. The story is co-written and directed by Victoria Fox! Look for it soon along with information on our crowd funding campaign, which will bring you more stories from this interesting alternate reality. Filming for their second episode wrapped yesterday in front of a green screen in Arkansas. Plans currently call for the second episode to debut on February 1…along with a crowd-funding campaign for episodes 3 and 4. The FINAL FATE (?) of the Arkansas TOS sets formerly known as STARBASE STUDIOS! Well, this isn’t the happy ending I was hoping to write. It almost was, but then things turned disappointing in a very short amount of time. Okay, let me first give bring everyone up to date on the story so far. The TOS sets that were formerly known as STARBASE STUDIOS have been sitting in a building in Marble Falls, Arkansas since early 2017. The building is part of an abandoned and dilapidated former theme park known as Dogpatch, which is owned by Charles “Bud” Pelsor. Ownership of the TOS sets—which included a full 360-degree bridge originally constructed in 2004 for a fan film called Starship Exeter “The Tressaurian Intersection,” a partial sickbay, a transporter room, a briefing room, and corridors—was, until recently, divided among GLEN L. WOLFE (50%), SCOTT JOHNSON (25%), and GLENN MILLER (25%). Unfortunately, the three owners weren’t typically (if ever) on the same page, and frictions quickly developed and escalated. “Bud” Pelsor had apparently offered to house the sets until the end of 2018, after which ownership of the Dogpatch property was to transfer to Heritage USA, and the sets would need to be relocated. But where would they go? Who has space for a full bridge, sickbay, transporter, and briefing room? Author Jonathan LanePosted on January 13, 2019 January 14, 2019 Categories Audio Interviews, Fan Film Features, NewsTags Charles "Bud" Pelsor, Glen L. Wolfe, Glenn Miller, Joshua Irwin, Kent Edwards, Ray Tesi, Scott Johnson, Stage 9 Studios, Starbase Studios22 Comments on The FINAL FATE (?) of the Arkansas TOS sets formerly known as STARBASE STUDIOS! The vast majority of the fan film community had no idea that GHOST SHIP was coming (including me)! But just a few weeks ago, on Halloween, the newest full-length Star Trek fan production from JOSHUA IRWIN and VICTORIA FOX debuted on YouTube. Although shot mainly on the STAGE 9 STUDIOS starship sets previously used for Star Trek Continues and Starship Farragut, I learned from interviewing Josh and Victoria that some scenes were also filmed at the Arkansas sets originally known as Starbase Studios. Their visual FX were done by Trekyards’ CGI genie SAMUEL COCKINGS, who will soon be releasing Temporal Anomaly and Convergence. Even VANCE MAJOR makes a cameo as the character Erick Minard. So these guys definitely got around the fan film world to make their project. And what an impressive production it is! A “Star Trek meets The Walking Dead” mash-up, of sorts, the film combines spooky zombie horror tropes with comedic moments and fun characters to create a wonderfully enjoyable space adventure. And it follows the guidelines completely, including dividing the fan film into two less-than-15-minute segments. The cast is made up of trained actors along with a crew of experienced film producers. The result looks great, sounds great, and is written, directed, and edited at a noticeably high level. That might be one of the reasons that the views for Ghost Ship have exploded on Youtube. When I conducted our interview on Wednesday of last week, Josh and Victoria were excited to see their total views had climbed over 8,000. Well, guess what? As I write this 8 days later, they’ve gone viral with more than 105,000 views! Before I get to the fan and interview, let me take a moment to mention that GHOST SHIP and a growing number of other Trek fan films would not be possible without the generosity of RAY TESI, present owner of the TOS sets in of Kingsland, GA. Ray makes these sets available for free (well, the cost of electricity used during the shoot) to any fan filmmaker following the guidelines. But the $3,000/month rent is paid out of Ray’s own pocket. Fan-filmed before a live studio audience at STAGE 9 STUDIOS…but not without a little controversy! 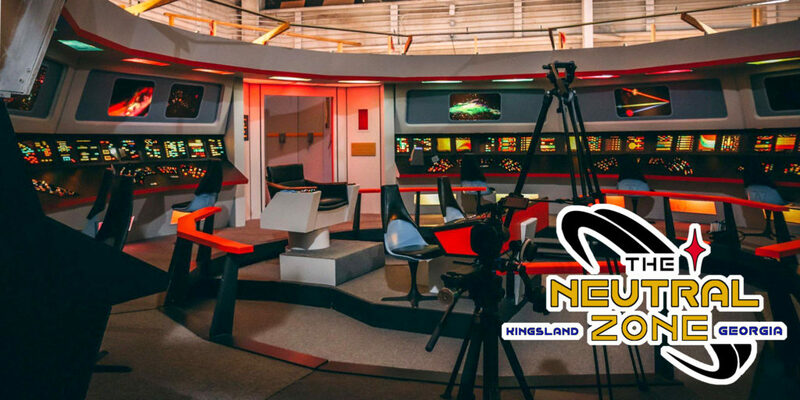 An estimated 1,300 fans came to STAGE 9 STUDIOS in Kingsland, GA on October 19-21 to visit the amazing TOS sets and meet STAR TREK CONTINUES cast and crew members, including VIC MIGNOGNA, CHRIS DOOHAN, LISA HANSELL, and many others. (Here’s a complete list.) Dubbed “Fan Appreciation Weekend,” the event was free of charge and admitted anyone who showed up on Friday from 2-10pm, Saturday from 9am-7pm, and Sunday from 9am-6pm. That’s 27 hours of open set visit time over a three-day period! Not just a simple “tour” (like what is offered in Ticonderoga, NY by James Cawley), this event included the opportunity for fans to watch and even participate in the FILMING of episodes for two different fan productions. Both DREADNOUGHT DOMINION and the upcoming CONSTAR CHRONICLES shot scenes on the bridge on Friday night and in engineering on Saturday as fans looked on. The groups traveled in cycles through all of the sets—sickbay, auxiliary control, transporter room, captain’s quarters, briefing room, etc.—finally emerging on the bridge and/or engineering to watch rehearsal, set-up, or actual filming during certain scheduled times. Each group spent about 5-10 minutes with the film crews before moving on and letting in the next bunch. The fan filmmakers would talk to the audience, answer questions, and in some cases, even offer a few lucky fans the chance to throw on a tunic and be filmed as extras on the bridge or in engineering! How cool is that??? The event was not without some controversy, though. Author Jonathan LanePosted on October 31, 2018 October 31, 2018 Categories Editorials, Fan Film Features, NewsTags Chris Doohan, Constar Chronicles, Dreadnought Dominion, Lisa Hansell, Ray Tesi, Stage 9 Studios, Star Trek Continues, Vance Major, Vic Mignogna31 Comments on Fan-filmed before a live studio audience at STAGE 9 STUDIOS…but not without a little controversy! For years, if you wanted to see the Kingsland, Georgia sets being used to film the legendary fan series STAR TREK CONTINUES, you needed to either be working on the production itself or else a very special VIP. But now STC has wrapped filming, and the sets have been purchased by super-fan RAY TESI. And Ray is opening the Stage 9 Studios sets for the first time ever to the fans to come, look at, take pictures of, and even talk to some of the cast and production crew of STC itself! The event is happening in a week and a half, and is open to any fan. No tickets are needed, and admission is FREE! 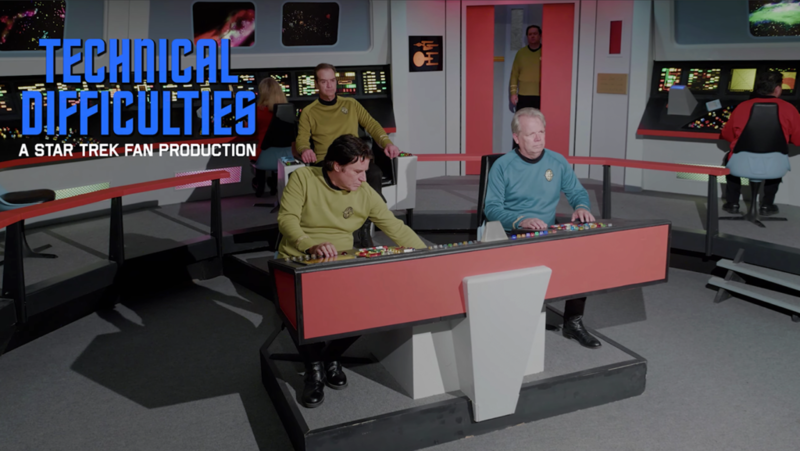 You can get a behind-the-scenes look at Stage 9 Studios‘ starship sets, walk through the corridors, visit engineering, the transporter room, sickbay, the captain’s quarters, the iconic bridge, and more! STAGE 9 STUDIOS announces a new PATREON, OPEN HOUSE, and an awesome WALK-THROUGH VIDEO! Would you pay $1, $5, $10, or $25/month to keep the lights on for the only full TOS sets to be completely open to the fan film community? Right now, 11 people are already doing that, giving STAGE 9 STUDIOS in Kingsland, GA a combined $100/month (or thereabouts) in guaranteed financial assistance to pay for rent, electricity, and maintenance. With rent estimated at about $3,000/month, a hundred bucks a month might not seem like much. But Stage 9 Studio only just recently launched their new Patreon, and owner RAY TESI is currently paying all expenses out of his own pocket from retirement savings. So donating even as little as a dollar a month will be a welcome help. For those not familiar with Patreon, it’s similar to Kickstarter and Indiegogo in that anyone can set up a campaign, anyone can contribute, and there can be perks. The difference is that, while the latter two are designed for a one-time contribution, Patreon is set up so that supporters (patrons) donate monthly, a recurring contribution charged to their credit card or transferred from their bank account until the donor says otherwise. 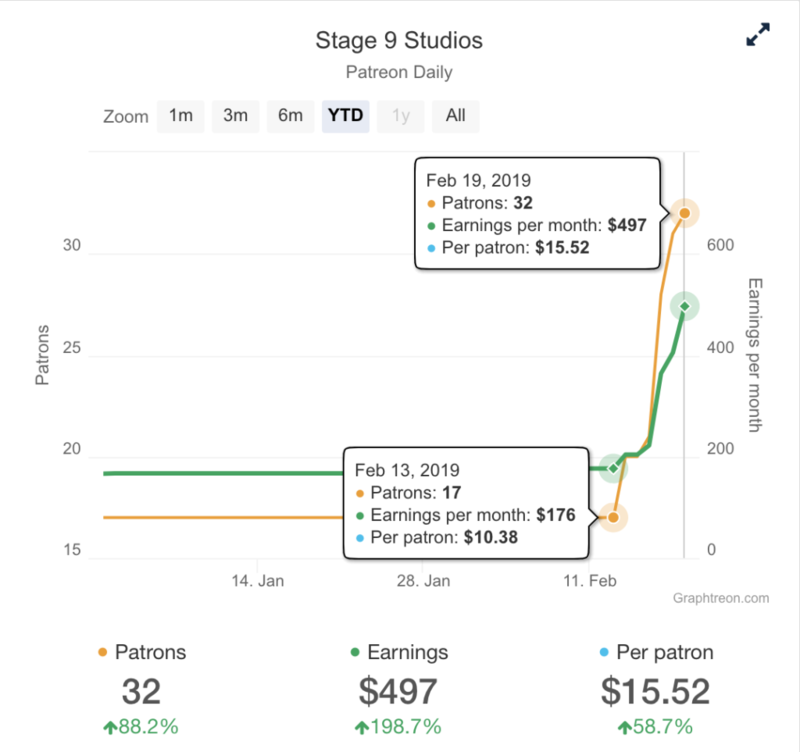 Patreon is designed for ongoing endeavors rather than one-time projects, so it’s perfect for something like Stage 9 Studios where the expenses from rent, utilities, and maintenance are ongoing. STAGE 9 STUDIOS is NOT a money-making enterprise, but an opportunity to share the passion that millions of STAR TREK fans have for the series! But that’s not all that’s happening with Stage 9 Studios. Would YOU like to see these amazing sets in person…for FREE??? Author Jonathan LanePosted on July 15, 2018 Categories Crowd-Funding Blogs, Fan Film Features, NewsTags Patreon, Ray Tesi, Stage 9 Studios, Star Trek Continues, Vic Mignogna8 Comments on STAGE 9 STUDIOS announces a new PATREON, OPEN HOUSE, and an awesome WALK-THROUGH VIDEO!